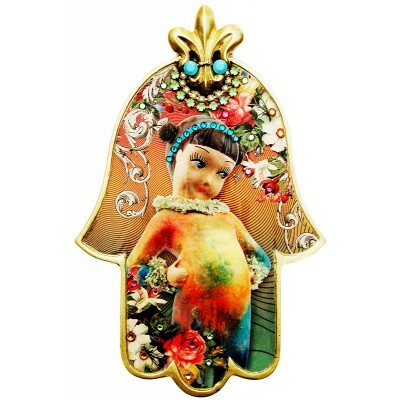 Michal Negrin wall decoration Hamsa. 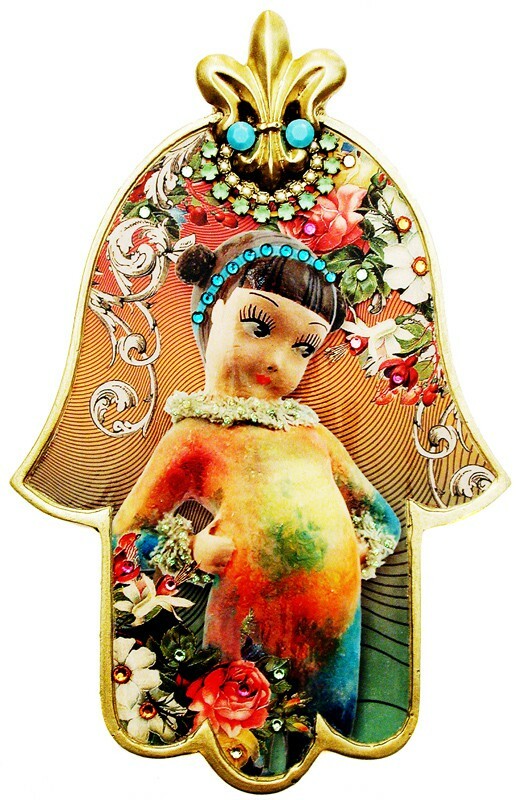 With a Rainbow Girl pattern and Swarovski crystals. Measures 6 inches high X 3 3/4 inches wide.